KPI stands for “Key Performance Indicator” and is a mechanism by which individuals, departments, and companies may track their performance over time. A good baseline understanding and ongoing tracking of relevant performance metrics is needed to ensure that performance does not slip into mediocrity. KPIs help keep everyone on track, reinforcing priorities, and moving as a team towards the stated goals. In order to define good KPIs, we need a good understanding of the vision, mission, and goals of the company, department, and individual. Just like a company, individuals need vision and mission statements as well as clearly defined goals. Good KPIs are objective. They are concise and do not leave wiggle room to debate their meaning. This is their power. As KPIs are tracked over time, the ability to see performance trends over prior months and years. Almost all of my KPIs are monthly averages graphed year-over-year. This allows me to compare performance over the last few months and the prior year. When I see something that is not within an expected range, I am able to look into it immediately and take action. If things are on track or ahead, it is time for a reward. We have to be good to ourselves when we are on target. Once we understand the department’s or individual’s frame of reference and their desired state, we can start working on KPI development. I follow a pretty basic and easy method for determining KPIs. Brainstorm to capture everything that can be empirically measured. As with every brainstorming, do not evaluate the quality of feasibility of the suggestions at this point. You want a complete brain dump of everything that can possibly be measured. Review the mission, vision, and goals. If working in a team, everyone needs to have a clear understanding of the mission, vision, and goals. If working on personal KPIs, review job descriptions, annual reviews, and peer feedback for insights and to gain an understanding of priorities. Group and rank each of these possible KPIs by their relevance and ability to provide clarity on the mission, vision, and goals of the company, department, or individual. 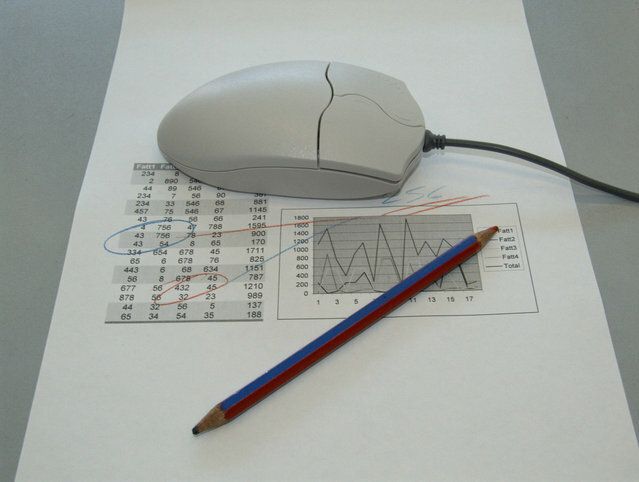 Review the possible KPIs for the feasibility of tracking. We may have some very good ideas for KPIs that are not realistic because the tracking mechanisms are too burdensome or simply unavailable. These KPIs go off on a separate list for possible future consideration or implementation of a tracking mechanism. Add the tracking frequency for each of the possible KPIs: Again, this is an alternate way of looking at feasibility and clarity the KPI will provide. If the KPI has to be tracked in a way that is prohibitive, it should be moved to the second list. Remove all possible KPIs that do not add value, provide clarity, or cannot be successfully tracked. If the list is still too long, I simply take the top X number of items per grouping. Develop a work plan to capture the KPI data points based upon the data capture frequency. The first week of each month, compile all KPI information and generate Excel charts and summary tables. I review this information closely and look for any outliers. Anything that is above or below expectation is investigated and understood. While investigating unexpected improvements, always look and see if the source of improvement may be applicable to other areas. For example, the KPIs for an IT department may look at the total number of closed support tickets, first response time, response time to close a ticket, recurrence rates, failure rates, uptime percentages, and support hours. It is also very common to present KPIs in charts and tables. Using the above example, you could graph support hours and the total number of closed tickets. When looking at this year-over-year, you should be able to see the effect of labor hours on the support ticket closure rate. Furthermore, looking at these graphs, you can see if your team is closing support tickets at a faster or slower rate than prior periods. Charting various KPIs is a powerful tool when requesting additional resources or policy changes. This single activity alone has allowed IT to influence policy and staffing decisions because we had the data to back up the requests. I would challenge everyone to develop KPIs. Track them regularly and check the results monthly. After just a few months of tracking, you will be able to see patterns and start adjusting to further increase productivity and achievement of your goals.